Smart property investors keep their eye on the road ahead for signs that their asset values and rental income might be in danger. Looks like investors can relax. According to a recent study, the outlook seems positive for rental demand along with slowly rising asset values and interest rates. Homebuyers may have different views on the value of buying, yet the points made below back the value of renting in 2019. Many buyers expect interest rates to remain near historic lows while hoping house/condo prices might crash so they can buy. The trends however, support continued high home prices and there are other factors that favor renting vs buying. That’s according to the report from Attom Data Solutions. 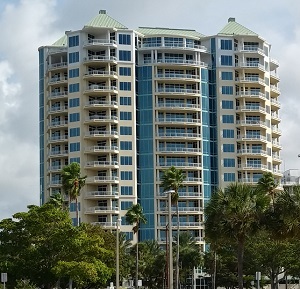 Whether you’re in Berlin, London, San Diego, San Francisco, Phoenix or Honolulu, renting an apartment, condo or house may be wiser than you had even previously thought. 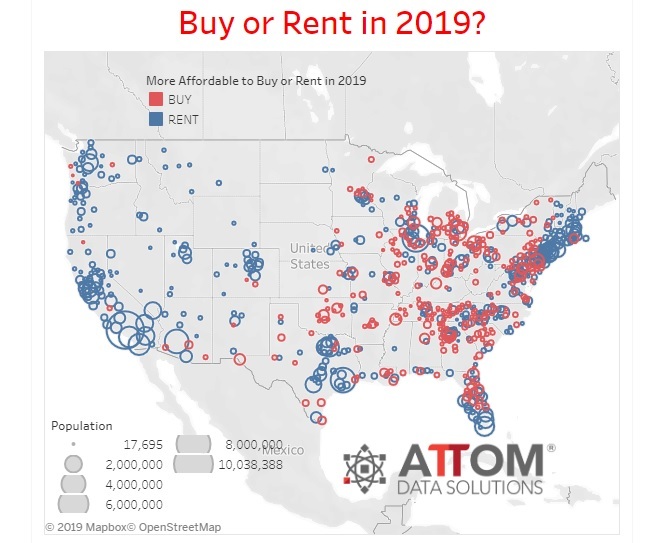 In Attom Data Solutions 2019 Rental Affordability Report, they reaffirmed something many in the new Renter nation already know — renting is more affordable in 18 of the highest populated counties. And they found the same is true in 37 of 40 counties with a population above 1 million. Those counties included Los Angeles County, California; Cook County (Chicago), Illinois; Harris County (Houston), Texas; Maricopa County (Phoenix), Arizona; and not so surprisingly, San Diego County, California. They measure home buying affordability by the monthly house payment for a median-priced home (based on a 3% down payment, plus mortgage, property tax, homeowner’s insurance and private mortgage insurance) as a percentage of the average monthly wage. Why is buying less favorable than renting in their opinion? The overall cost of buying a home is much higher than renting it. Other factors weighing in are that if renters save their funds, they’ll earn a return on those savings. Attom Data states home prices rose at 6.7% on average while wages only increased at 3.5%. Everyday then, the numbers get worse for buyers. Home prices are outpacing earnings in 80% of US housing markets. Home prices rose faster than wages in 80% of US housing markets. In 52% of markets, rent prices rose faster than wages. But in many of those renter markets, home prices are rising even faster. This means that despite rising rent prices, it may still be better for a renter to continue renting. Attom Data found the least affordable markets for renting included Santa Cruz County, California (81.7% of average wages to rent); Honolulu County, Hawaii (74.4%); Maui County, Hawaii (69.5%); San Benito County, California (68.6%); Monroe County, Florida (67.3 percent); Sonoma County (Santa Rosa area), California (66.%); Marin County (San Francisco area), and Kings County, New York (63.7%). You can check out their interactive tool here. Check out the Los Angeles rental market, San Francisco rental market, Phoenix rental market and Chicago housing market now. Studying more metros gives you a better feel for the market big picture in 2019. 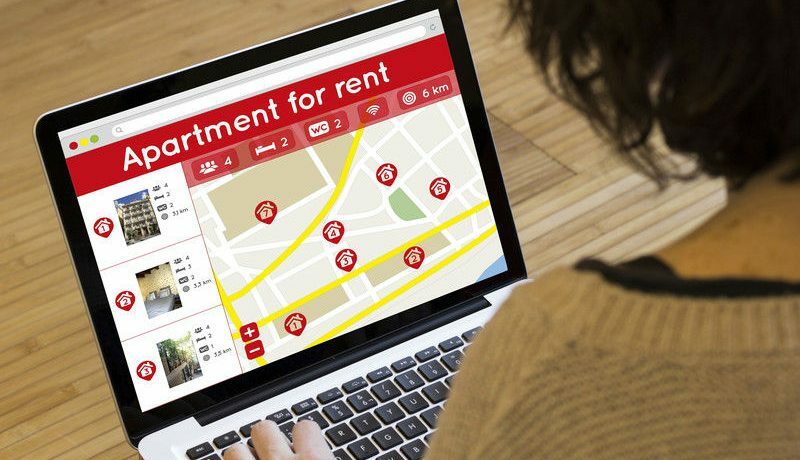 Aside from the usual price calculations, renting may be better for other reasons such as: avoiding maintenance and repair cots, access to cool multifamily housing amenities, job mobility, time savings, no stress over real estate taxes and liabilities, no big downpayment worries, and managing the threat of a recession. Risk is always a big issue in buying property of any kind. However, property investors are more able to take on these risk and pay off mortgages while writing off taxes and repair bills. 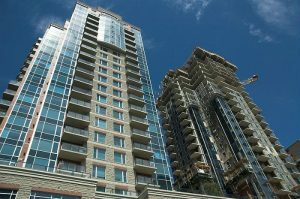 For property investors, the multifamily property market offers significant ROI opportunities when they multiply their volume of rental units. Even maintenance and property management is relatively lower. That’s why property investors might be highly inclined to buy now while home/condo/apartment prices are in a lull. Given the strength of the economy, housing crisis, and that the Fed is being dovish on interest rate increases, along with the big release of new construction apartments this year, there’s lots of opportunity for investors to get into the multifamily rental business. Intrigued with new property management solutions? 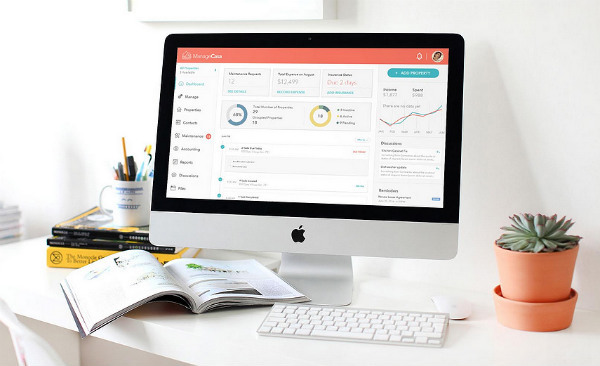 Check out the features and benefits of ManageCasa. Gord is ManageCasa's online evangelist, capturing the imagination of investors, property managers, landlords and all those who love proptech. His 20 years of real estate marketing includes stints with major real estate publishers, brokerages, condo sales teams and building supply firms.